For many, the most luxurious part of a summer vacation is the chance to read a book uninterrupted. 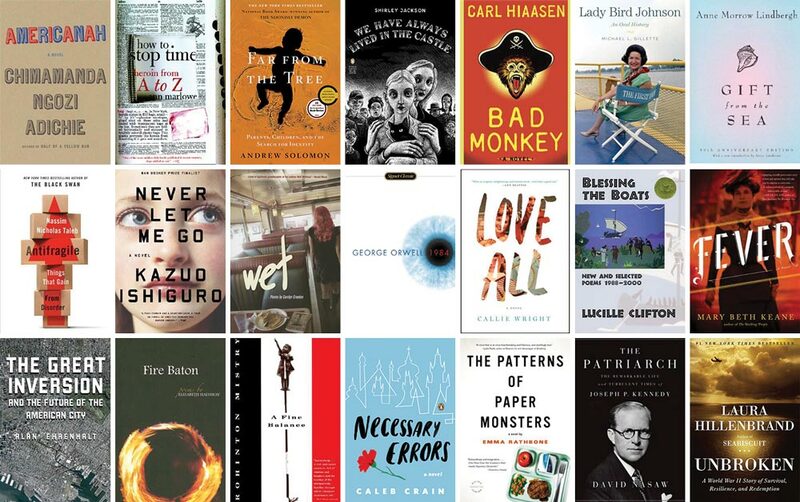 We asked nine alumni and faculty in the worlds of literature, media, political history and sports to recommend some of their favorite books, old and new, for your summer reading. For those of you who read and loved the short story “The Lottery” in high school, this novel is its creepier, longer older sibling. The story of two sisters who live in mysterious isolation, this book casts a sinister cloud from the first page, and is a delicious puzzle until the very end. Set in an unnamed city in India in the 1970s, this Dickensian novel of hope and despair is sad, joyful and still affecting, even years after reading it. Grab the tissue box before you start. I dare you to read this Pulitzer Prize-winning novel without comparing the deeply flawed Olive to some of your own relatives. Although the always-excellent Strout has a new novel out this year, I recommend you start with this one. Warning: this exhaustively researched book is 900 pages long, so perhaps best for those with transcontinental flights or an entire month of vacation. Still, it should be required reading for all parents, whether their children have turned out just as they expected or—as with the real families Solomon profiles—something completely different. 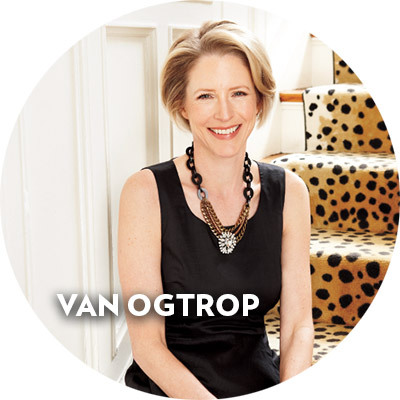 Kristin van Ogtrop (Col ’86) has been the editor in chief of Real Simple since 2003. A mother of three (including a son entering UVA this fall), she is also the author of Just Let Me Lie Down: Necessary Terms for the Half-Insane Working Mom. Political scientist and Arlington, Va. resident Alan Ehrenhalt has written a very engaging examination of the ethnic and socioeconomic shifts taking place in America’s major cities and suburbs—pushing beyond the often lazily invoked concept of gentrification and applying the apt lens of demographic inversion. The late Lucille Clifton’s brilliance rested in her ability to write with fearless insight without ever losing her awareness of the basic, communicative nature of language. You’ll read little recent American poetry that is more human than Clifton’s verse. Adichie’s third novel is a sharply written narrative of leaving and reentry—reconnection—that interrogates what it means for one who was born outside of America’s racial dichotomy of whiteness and blackness to be African and become “black.” What response awaits those who return home after enduring the process of becoming an “Americanah”? 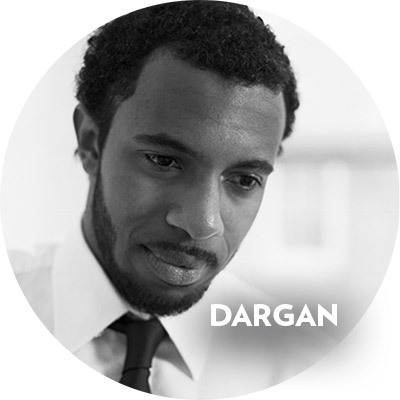 Kyle Dargan (Col ’02) is the author of three collections of poetry, most recently Logorrhea Dementia (2010), and a professor of literature and creative wiring at American University where he directs the MFA program in Creative Writing. The convergence of summer and any new Hiaasen novel is reason enough for this choice. But with the likelihood that two prominent Florida politicians will be running for president soon (Bush and Rubio) a humorous perspective on power and politics in the Sunshine State may pay dividends even when the hurricane season ends. This is an environmental and legal thriller based upon a true story of life-threatening pollution that tainted the water of a Massachusetts town in the 1980s. It offers great insight into the justice system, corporate responsibility (or lack thereof), citizen action and the possibility for one person to make a difference. The Cold War may be over, but in light of the revelations about the NSA’s domestic surveillance program it is worth revisiting this classic almost 65 years after it was written. While Orwell anticipated the government’s insatiable thirst for knowledge, he could not have imagined the volume of data that we eagerly volunteer to companies ranging from Google to YouTube. If you are a multi-tasker, download Backstory with the American History Guys’ discussion of the history of personal data collection—“Keeping Tabs” at backstoryradio.org and listen while you read. 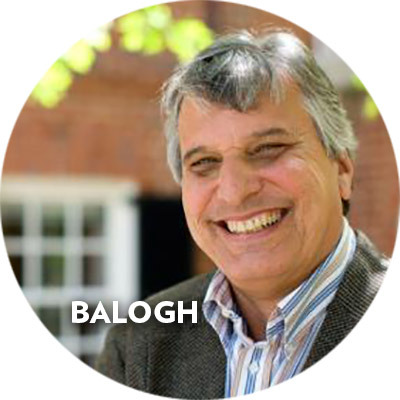 Brian Balogh is a history professor at UVA and a co-host of Backstory with the American History Guys, a nationally syndicated radio show. 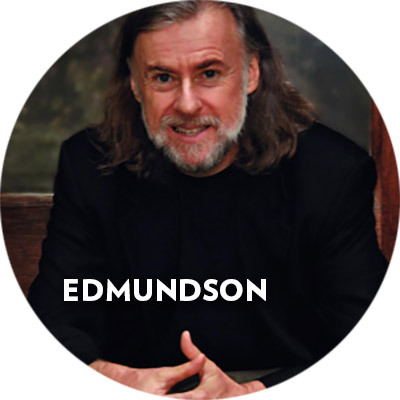 His most recent book is A Government out of Sight: The Mystery of National Authority in Nineteenth-Century America. When you’re lucky enough to be a graduate of the University of Virginia MFA program, you will spend the rest of your life with just barely enough time to read the new releases published by your peers. Here are a few alumni novels I’ve fallen in love with lately. This beautiful novel about a family hitting the fan was published five minutes ago and it’s already snagged rave reviews from every magazine from Vogue to O. It’s warm and wise and the last 50 pages will lift your spirit and break your heart. Charles McLeod writes sentences that make you wince in an ugly way and make your heart drop into your stomach at the same time. His anti-American-everything novel will make you recognize more of yourself than you thought possible. Mary Mallon, the first identified asymptomatic carrier of Typhoid, is the subject of this exquisite historical novel, published in April. I believed in Mary and in every word of Fever, even though I read it as it was being written. To be able to pull the wool over the eyes of another writer—that’s true magic. 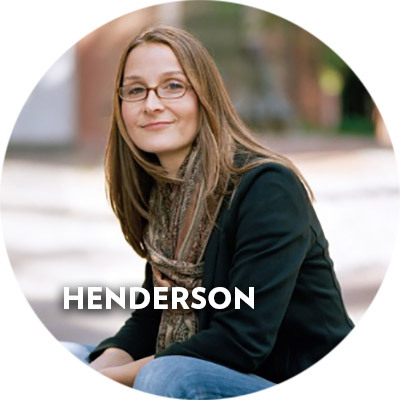 Eleanor Henderson (Grad ’05) is the author of the novel Ten Thousand Saints, which was named one of the Top 10 Books of 2011 by the New York Times. An assistant professor in the Department of Writing at Ithaca College, she lives in Ithaca, New York, with her husband and two sons. Witty banter, a mysterious stranger, imprisonment and a Cemetery of Lost Books—this book will pull you in and you won’t want to be let go. Set in Barcelona during the 1950s, this novel is the third in a trilogy, but can be read as a stand-alone. An oral history of the Zombie War that spans from the doctor who treated patient zero to zombie “surrender.” This novel will get under your skin and make you believe it’s only a matter of time before we’re all lobotomizing our neighbors. A though-provoking tale on the human spirit and the definition of humanity. What are we losing as we race towards a more scientific and technologically dominant world? As both the subtitle and overall theme of this non-fiction work, Cain explains the need for introversion in society, while dispelling the myth that extroversion equals happiness. 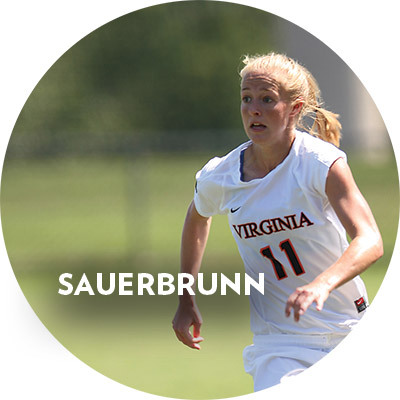 Becky Sauerbrunn (Col ’07) is a professional soccer player and member of the United States women’s national soccer team, which won gold in the 2012 Summer Olympics. She plays defense for FC Kansas City in the National Women’s Soccer League. Headlong, inspired, passionate poetry, a first book by a writer Harold Bloom accurately calls a true descendant of Walt Whitman. Another first book of poems; this one takes the experience of growing up in Appalachia and expands it to touch multiple aspects of American life and culture; strong perceptions, splendid artistry. The book is about drugs but not as much as it is about time and death and anxiety and the examined life. The best contemporary memoir I’ve read. Family saga set in Texas ranging over 150 years. Fabulous scenes with the patriarch-to-be (the Colonel) and the Comanches who adopt him (after killing most of his family). Football, Texas, America, the wars in the Middle East. Billy and his army buddies get a day with the Dallas Cowboys—spectacular, killing satire. 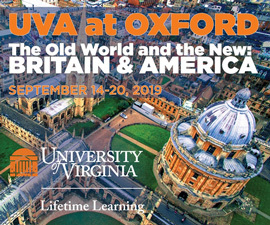 Mark Edmundson is a professor in the UVA English department. His book Why Teach? is forthcoming from Bloomsbury this fall. This definitive biography of the Kennedy clan’s founding father tells the improbable story of his rise from Boston Irish-Catholic immigrant roots to paterfamilias of the most potent political dynasty in American history. A moving memoir by the U.S. Supreme Court’s first Latina and only third female justice, this book inspires readers with its up-from-poverty theme of how the child of Puerto Rican Americans overcame adversity to become a vocal member of the nation’s highest tribunal. After seeing Hollywood’s latest rendition of this classic tale of greed and unrequited love, I just had to reread a favorite selection from my high-school American lit course! Married to one of the most consequential U.S. presidents, Lady Bird Johnson relates in her own voice an amazing story that intersects with historic people and events of the 20th century. Meeting Ms. Clooney’s brother at a gala dinner for former UVA president Bob O’Neil prompted me to read this poignant memoir. Early life in a small, Depression-ravaged Kentucky town and broken home couldn’t deter Rosemary from pursuing a successful music career or launching her nephew, George Clooney, on his trajectory to Hollywood stardom. 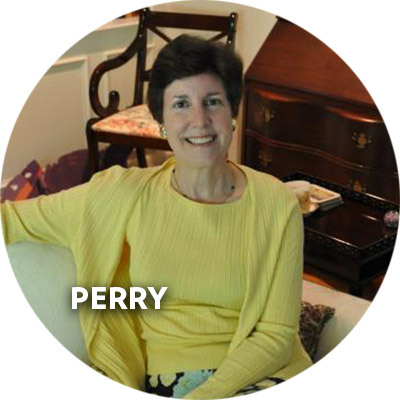 Barbara Perry (Grad ’86) is a Senior Fellow in the Miller Center’s Presidential Oral History Program. The author of eleven books on the presidency and Supreme Court, she will be on tour this summer and fall, premiering her most recent book, Rose Kennedy: The Life and Times of a Political Matriarch. The third book in Taleb’s great trilogy about risk and randomness is also the best. There’s no more important (or more engaging) philosopher of contemporary life and how to live it. Necessary Errors, published this August, is a tender, insightful novel about so many things: early-nineties Prague, gay nightlife, the hardships of laundry, the penumbra of post-Soviet capitalism, intense ex-pat friendships, a hamster who lives in a pot and the hopeful stages of love. 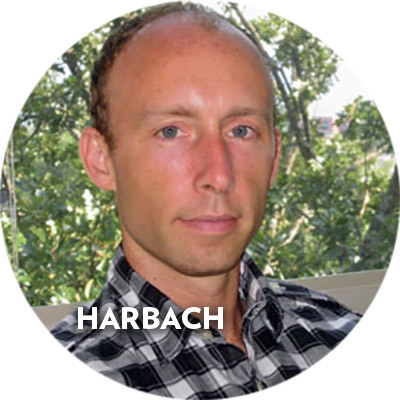 Chad Harbach (Grad ’04) is the author of The Art of Fielding and a founder and editor of the magazine n+1. Incredible true story about perseverance, faith and the will to live. I’m an avid reader and this is simply of the best books I have ever read. This is a brutally honest autobiography from one of the world’s most successful athletes. Working in the sports world, I’m fascinated by athletes’ psyches. This book is not at all what you might expect from Agassi. I always enjoy a book that I know my husband will read as well so that we can discuss. I’ve always loved historical fiction because I feel there is so much I don’t know. This is beautifully written and one of the most heart-wrenching stories about the Holocaust I’ve ever read. This is a book that never leaves my bedside table. I read it every year as it affects me in a different way, depending on where I am in my life at the time. Melissa Stark (Col ’95) is a host of Gameday First on the NFL Network. 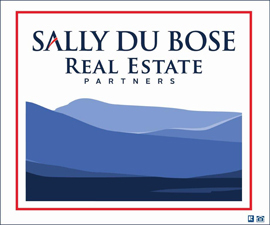 Previously she worked for NBC News as a Today Show national correspondent, and as a sideline reporter for ABC’s Monday Night Football. What are some of your favorites? Share your book recommendations in the comments section below.